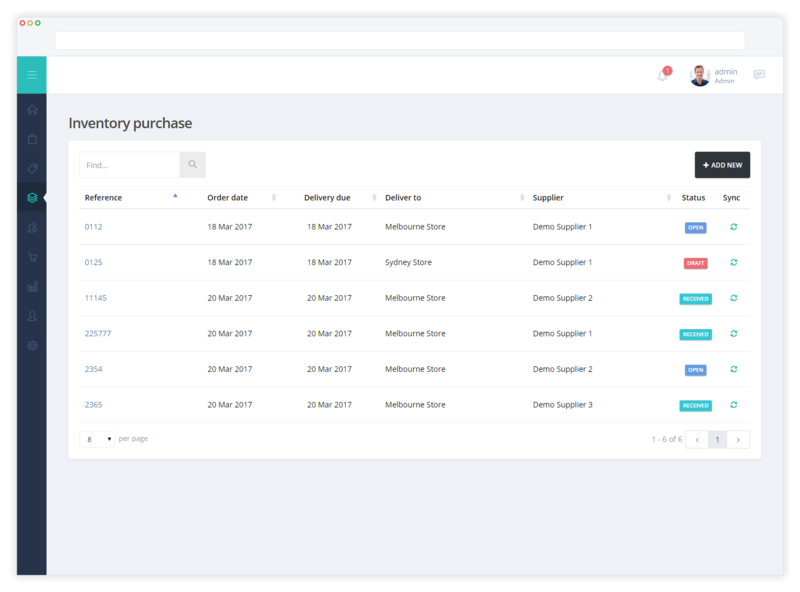 Easily sell, receive, count, transfer, track and analyse your inventory. 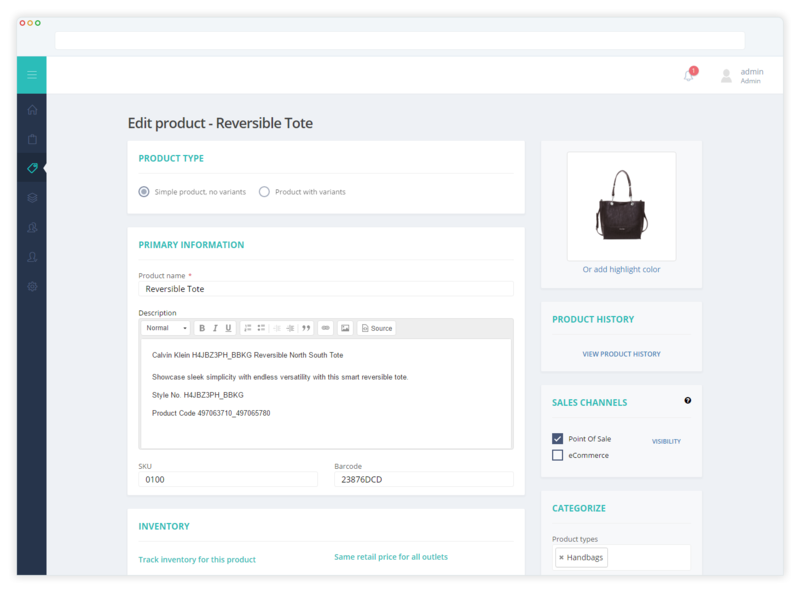 Create multiple variants of your products based on size, colour, material and more. Assign unique SKUs to each variant and track their stock levels. With Hike, there are no limits on the number of products or services you can add. Your system is optimized to handle large amounts of inventory. Use barcodes for products including separate barcodes for product variants. Barcodes are also included on receipts so that you can find orders easily. Create composite product bundles using your existing products. You could use it to create combo deals or even hampers. Bulk import, export and even edit! The export and import wizard, lets you add, update, and count thousands of inventory items at once. Easily apply important updates such as price and other product information changes without any delays. Hike is a multi-store POS, central inventory management system and lets you track your stock by store. 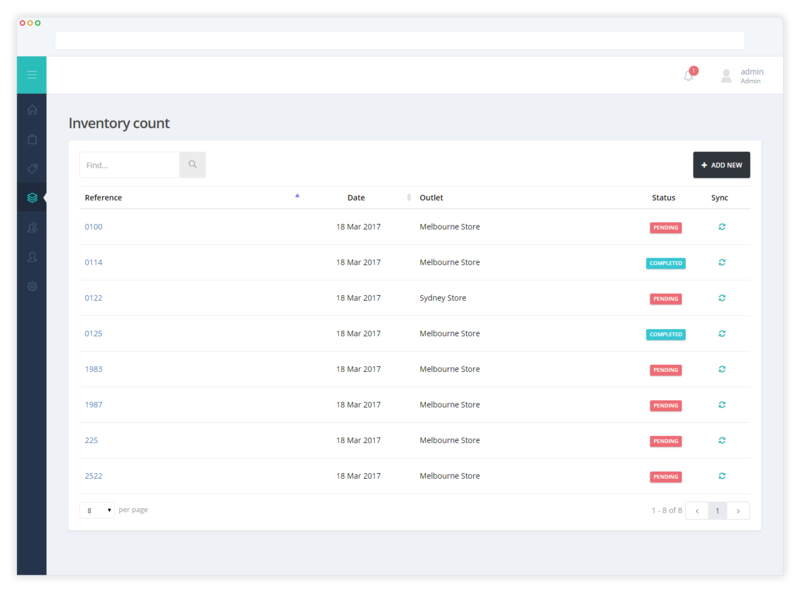 You can even decide to track your online store inventory separately or tune it with your physical store. Ultimately it works with your existing process and helps you improve it with automation. Inventory count is always a time consuming task, but we’ve made it a litter easier for you. Perform full or partial inventory count, schedule counts in advance and even action multiple partial counts at once. To know your best performing products is important. What is more important is to know when inventory is about to run low. 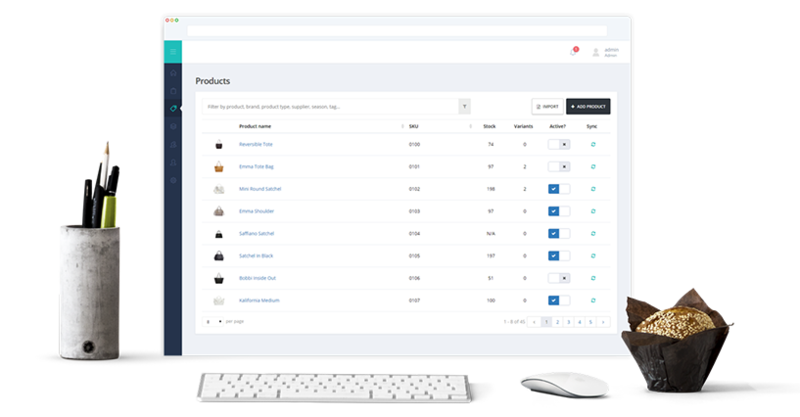 Hike lets you set custom reorder points for each individual product. So you can set it and forget and when stock hits the point, you will get an automated reminder. Transfer stock between stores. Inventory levels get updated automatically for each store. You also get it on a report. 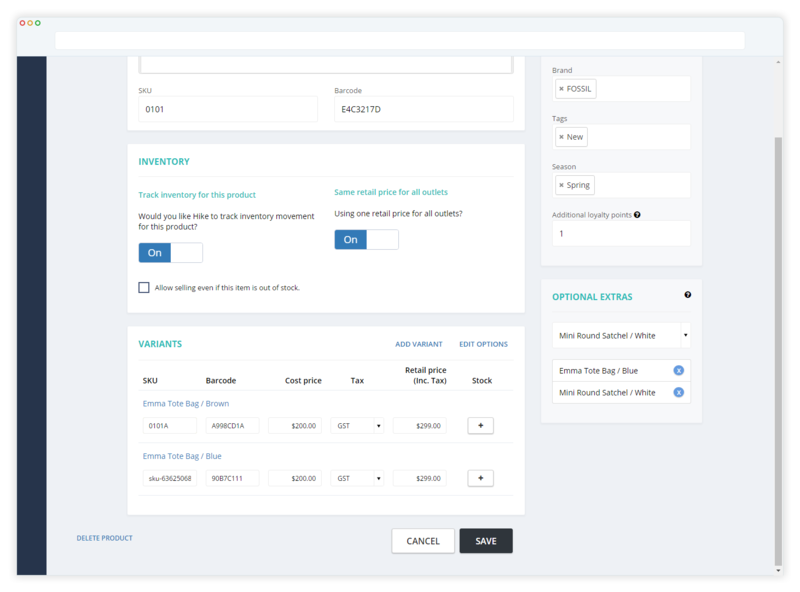 Create purchase orders with few easy clicks and select from a list of suppliers to email your purchase order. Alternatively, print your well-formatted purchase orders to send a physical copy. It’s that easy! Quickly check your PO status to see what has arrived and what’s still in the transit. It helps with tracking partial deliveries and damaged returns. Record your supplier information and contact details. You can also allocate particular suppliers to specific products so now there is less to remind your staff about. Create and customize any number of tax rates. You can specify different sales tax rates by store and Hike will manage the rest. It is a handy feature if you operate multiple stores in different tax regions. Organise your products better. 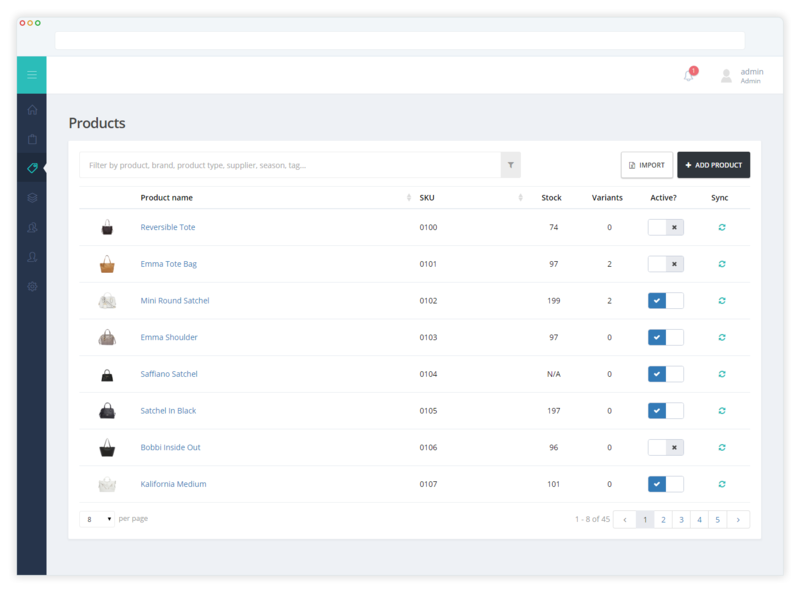 Hike lets you place your products in categories and sub-categories (groups) so that finding and locating them is easier. Applying margin to your inventory items is now easier. Simply enter your cost price, specify a percentage value and your point of sale system will calculate selling price for you. You might have some products for which you may or may not require inventory tracking. We’ve made it possible for you to activate or deactivate inventory tracking rule by product.